First pre-heat the oven to 180°c. Weigh out half of your dry ingredients (ie 4 oz flour and 1.5 oz sugar) and place in a mixing bowl with a dessert spoon or two of sieved cocoa. 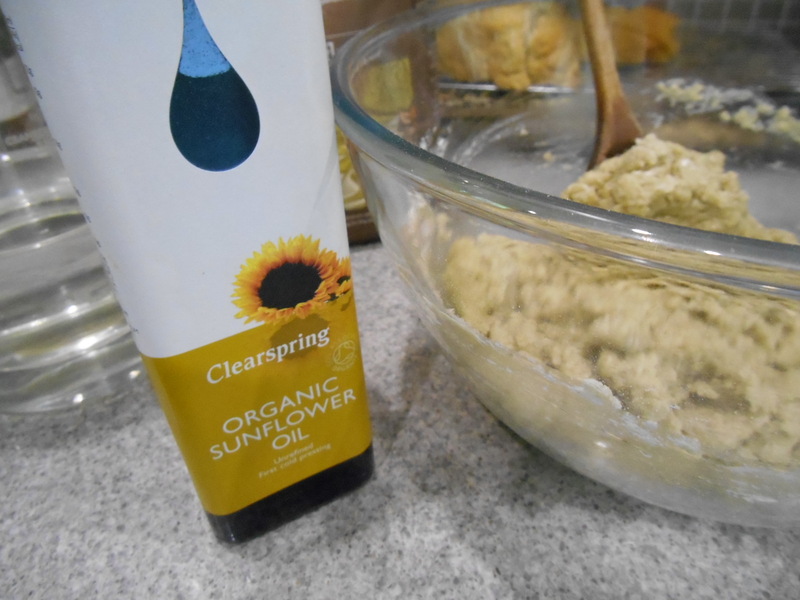 Mix well and then add half the wet ingredients (50 ml oil and 2 tablespoons of water). 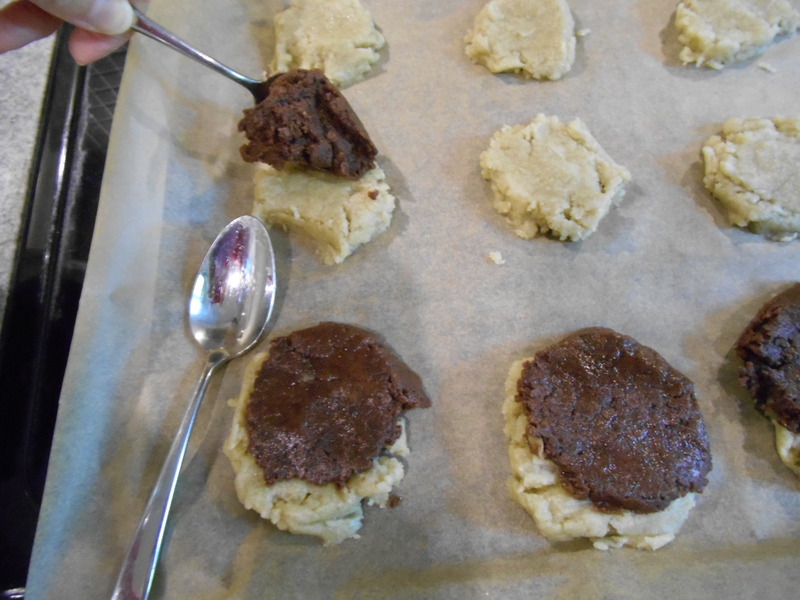 You might need a dribble or two more of water to compensate for the cocoa and make a soft, moist cookie mixture. (Bear in mind that I had doubled the recipe the day I photographed it so you won’t have this much mixture unless you do the same). 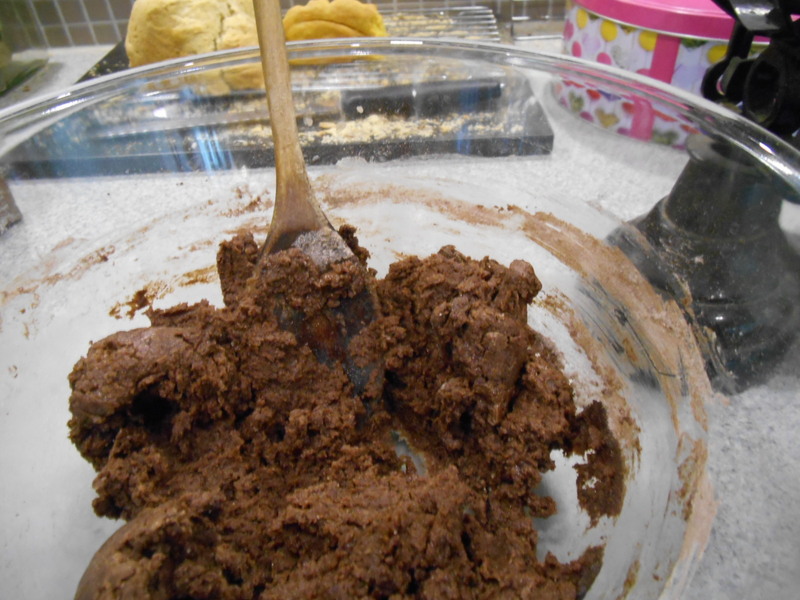 Put the chocolatey mixture to one side and mix up the other half of ingredients (minus the cocoa) in another bowl. Bake for 20 minutes and then remove to a cooling tray. 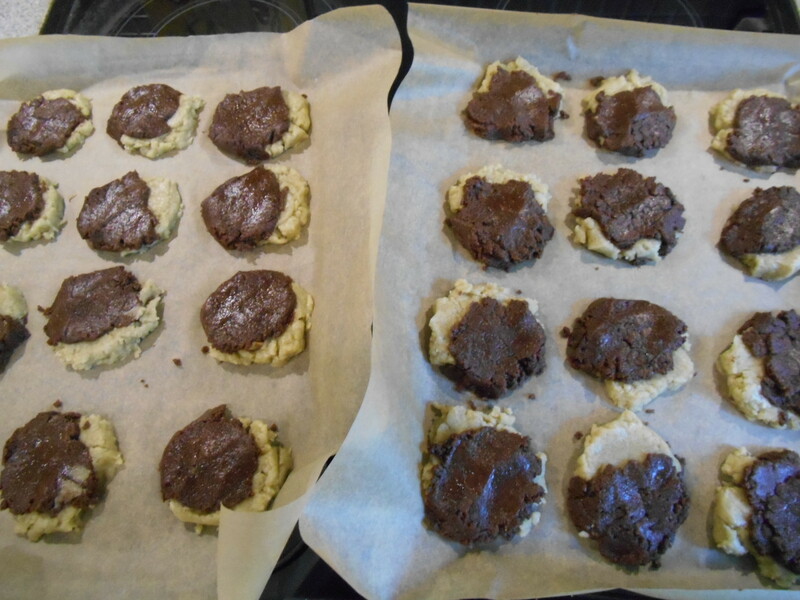 There is no need to double the mixture, the 8 oz mixture makes 20 to 24 cute little cookies, but if you want big fat ones like these you know what to do! Oh, and if you do double it they’ll need cooking a bit longer – say 30 mins at 170° in a fan oven. These are so yummy that I forgot to take any pictures of them after they came out of the oven. When they’ve cooled they’re kind of hard, like a ginger nut, but a little bit chewy on the inside. This entry was posted in Vegan, You're vegan? 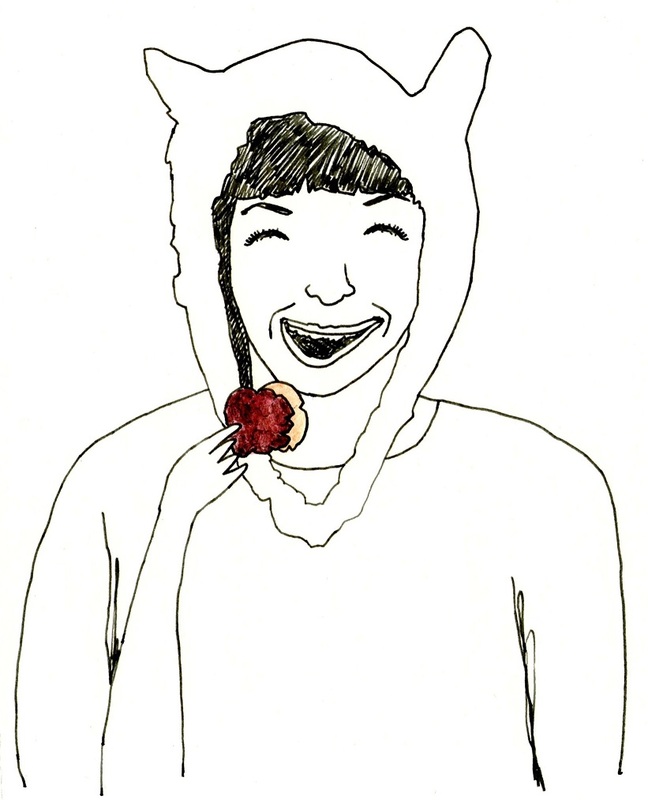 What do you eat??? 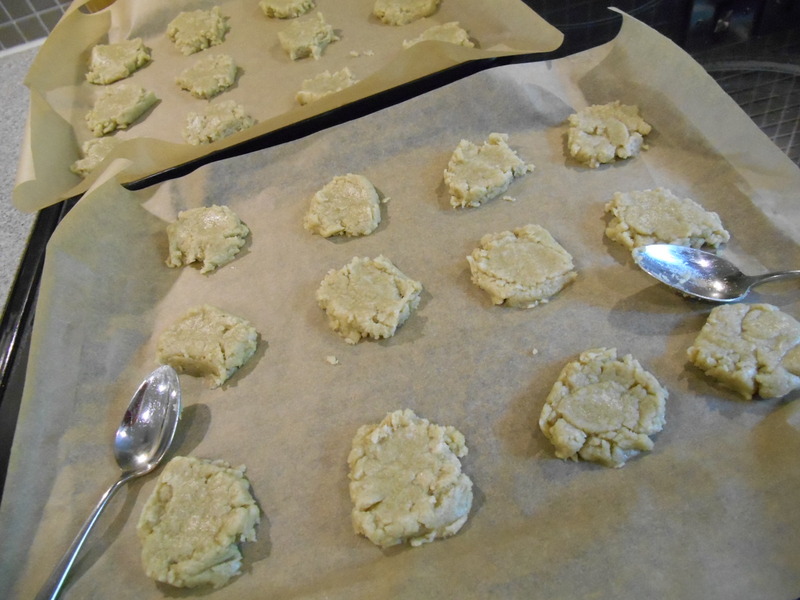 and tagged buckwheat, buckwheat cookies, gluten free, gluten free recipe, recipe, vegan, vegan cookie recipe, vegan cookies, vegan gluten free, vegan recipe, vegetarian. Bookmark the permalink. You are so right. Orange and chocolate, yes. Mint and chocolate, yes. Orange and mint, no. 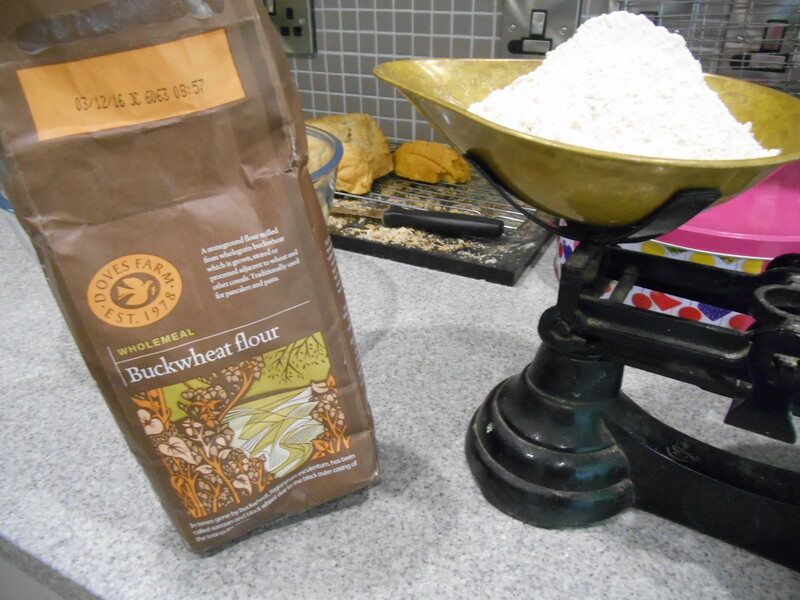 I’ve got a fresh package of buckwheat flour in the pantry–need to try this! I love that old- fashioned bascule! Lovely! i’m going to try these out, but sub the sugar for date syrup, great drawing at the bottom too by the way!